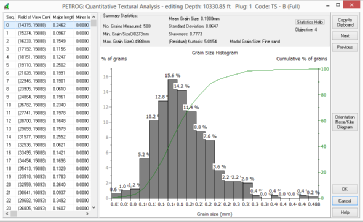 Textural data can be plotted in histogram form, with a variety of scales including millimetre, Phi and Wentworth. Additional statistical data is automatically calculated and provided as a summary. 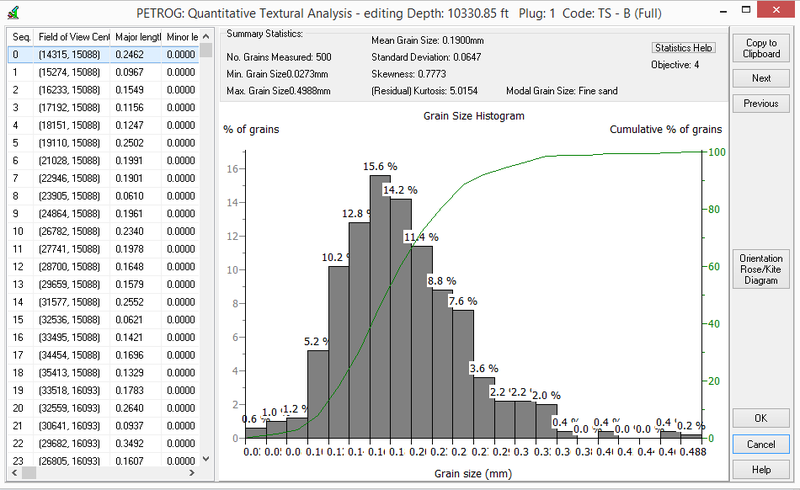 Alternately, all textural data can exported into Microsoft Excel for additional functions.